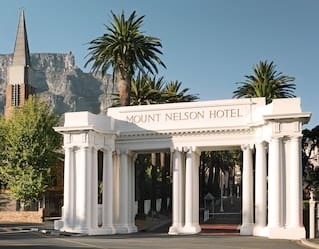 With its enviable location at the foot of Table Mountain, a stay at Belmond Mount Nelson Hotel offers up endless things to do in Cape Town. Explore attractions in the city, be enticed by activities at the hotel, or venture on tours further afield. However you choose to spend your time, we’ll make sure your stay is spectacular. See the majesty of first light on a dawn walk, in partnership with Leica Sport Optics. 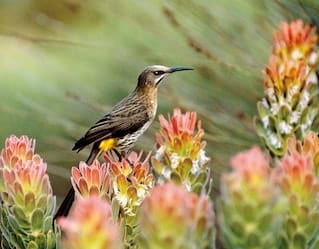 We’ll provide you with a pair of Leica Trinovid 8x42 HD binoculars to encounter the captivating flora and fauna of Table Mountain in truly magical light. Choose to take a private tour with an expert guide and photographer, or join a larger group for an unforgettable team hike. Alternatively, set off on your own with the help of our map. Delicious breakfast boxes keep you energised. 24-hour advanced reservations required. 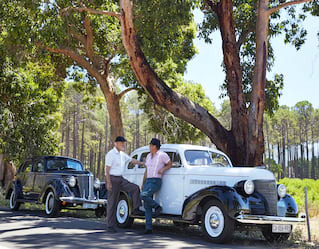 Be chauffeured in a gleaming classic car to the majestic Cape Winelands for a tasting or lunch. 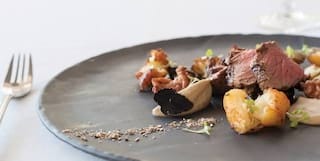 Explore Constantia Valley, famed for its white wines, the picturesque Franschhoek Valley or the world-class estates of Stellenbosch. There’s a wide range of cars available, including a Ford 1929 A-Model, two-seater Roadster, four-seater Phaeton, 1958 Jaguar Mark 8 and a 1963 Rolls Royce Silver Cloud. Priced from R1,400 per person for half-day tour, R2,000 per person for full-day tours. 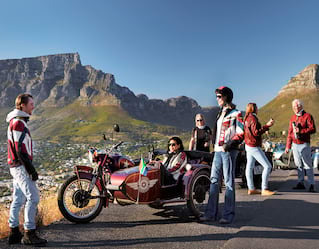 Hop into a chauffeured vintage sidecar and explore Cape Town in timeless style. Head out along Chapman’s Peak Drive and soak up the ocean views. Or go west towards the beautiful beaches of Bloubergstrand. Choose from a range of itineraries, from two-hour city tours to full-day excursions. Alternatively customise your own tour. We’ll provide riding leathers, helmets, goggles and complimentary bandanas. Join guide Kate Crane Briggs, an expert in art and architecture, for a truly unique tour. 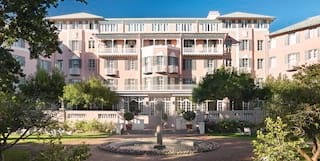 Explore the hotel’s 119-year-old estate, the historic Company’s Gardens and downtown Cape Town, and see the city like never before. The tour can also be tailored to your interests—whether that’s history, visual arts, architecture, cuisine or literature. 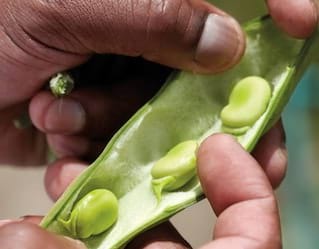 Visit Moya we Khaya, one of the most successful township farms in Khayelitsha, on this half-day tour. Chat with Mama Kaba over a cup of tea before strolling the fertile gardens. 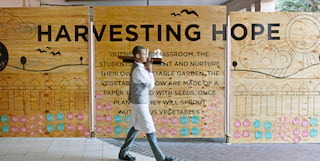 Pluck vegetables straight from the soil to bring back with you to the hotel, our chefs will transform them into an authentic farm-to-fork salad. 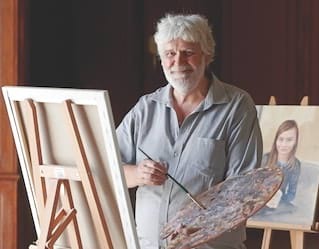 Make your own artistic masterpiece with the help of talented painter Cyril Coetzee. Our classes are suitable for all levels of expertise, each person coached individually to bring out their creative best. Session lasts three hours. Classes are priced at R700 per person for groups of up to 8 or R3,000 for one-on-one tuition. For a truly unforgettable memento, commission Cyril to paint a portrait of you or a loved one. 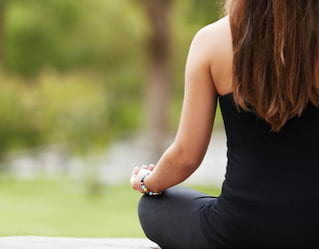 Stay strong, fit and flexible with yoga in Cape Town. We offer a range of classes, whether within our tranquil studio, out in the gardens or atop Table Mountain. Book an appointment with our in-house trainer, and we’ll help you take your practice to the next level. Nature lovers won’t want to miss this tempting two-and-a-half hour tour. 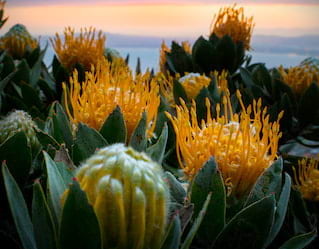 Led by an expert guide, set off along the lower slopes of Table Mountain to discover the remarkable diversity of the Fynbos. Later, sundowners and canapés high up on the mountainside are the perfect finale. 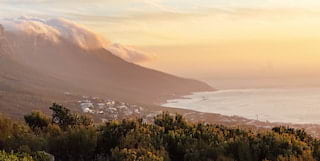 Get a taste of the good life on a tour of Cape Town’s internationally acclaimed winelands. Belmond Mount Nelson Hotel offers enchanting half- and full-day tours to the major wine trails. 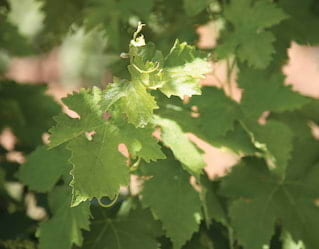 Specific red, white and Cap Classique tours are perfect for those with a particular area of interest. 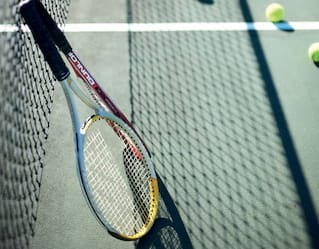 Join resident tennis coach Barkie McKrea in a lively class designed to hone your serve, volleys and all aspects of your game. Barkie teaches all ability levels, solo or in groups. Equipment is available to hire from the hotel. Feel your heart race as elephants parade across Botswana’s Okavango Delta before a spa break in cosmopolitan Cape Town. Browse through this suggested itinerary for inspiration, then get in touch and let us create the trip of your dreams.